Superstar and 'Thug' Aamir Khan has a surprise for all his fans and followers! The 53-year-old on Monday treated everyone with the motion logo of his much anticipated multi-starrer period action-adventure film. #ThugsOfHindostan releasing on 8th November." 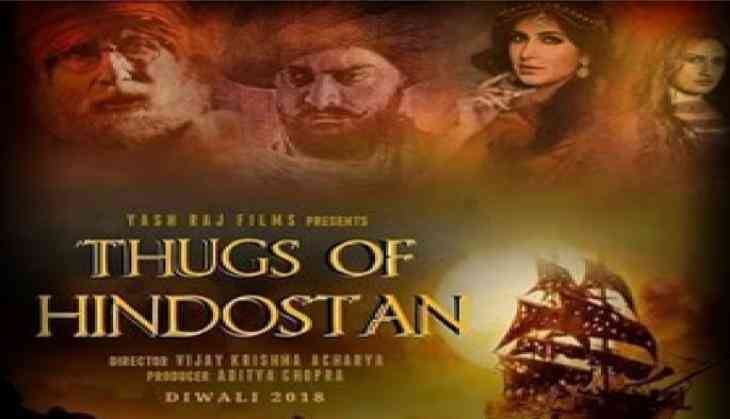 'Thugs of Hindostan' is based on Philip Meadows Taylor's 1839 novel 'Confessions of a Thug'and is about a gang who posed a serious challenge to the British Empire in India (then known as Hindustan or Hindostan) during the early 19th century. The film - which also stars Amitabh Bachchan, Katrina Kaif, Fatima Sana Shaikh, Jackie Shroff and Shashank Arora - is all set to hit the theatres on November 8.